HERE IS AN EXCERPT OF AN INTERVIEW I DID FOR CARIBBEAN TODAY MAGAZINE. WHICH WAS ALSO AN EXCERPT OF A MUCH LONGER INTERVIEW, WHICH I PROMISE TO PUBLISH IN FULL IN THE FUTURE. Stephen Marley is one of the most successful and decorated artistes and producers around. He is the son of late reggae king Bob Marley and a member of the Melody Makers, the group his father started with his siblings. “Ragga” Marley runs the Ghetto Youths International (GYI) label where he produces music for himself and other artistes, including his brothers Damian and Julian, along with Wayne Marshall. Stephen holds the record for the most reggae album Grammy award wins – three with Melody Makers. 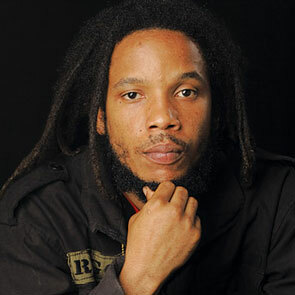 Caribbean Today freelance writer Jason Walker recently caught up with Stephen Marley. The following is an edited version of that interview. Jason Walker: Tell us about GYI. Stephen Marley: Well GYI is a label whey we form that consists of Damian, Julian, Stephen (Marley) and then you have youth like Black Am I, Jo Mersa (Stephen’s son), and Wayne Marshall who just joined the force and we a build; we building. J.W: Tell us how it got started? S.M. : Ghetto Youth United (GYU) is something (eldest brother) Ziggy Marley had started with myself, where we were producing and releasing records for the youth dem in the ghetto of Jamaica. From that now I man had branched off with GYI. It was a platform where if artistes in Ghetto Youth United were doing well would be pushed up to the more upstream label, which was GYI, where we could spread out our wings a little more. That was the whole concept of the label. J.W. : Tell us more about the artistes on GYI. we would have our riddims. That was going on in the late ‘80s and early ‘90s. Now when we are concentrating on being a label, that is when we came up with GYI and that is where we really started to take on artistes. In the beginning it was myself, Damian and Juju (Julian). J.W. : How are artistes evolving at the label? S.M. : Damian a start from a little youth to now where he is taking on artistes and producing. We are a house of music; really that is what it is. When you come amongst us, you are definitely going to grow. I live at the studio; that is my home. We live this, we don’t just talk this and prepare like a job. We live this. J.W. : Tell us about your evolution. S.M. : Well, the whole evolution, we started in 1979 when we released our first official record as the Melody Makers (“Children Playing In the Streets”). We started from then on a professional journey and a profession career, that is what we did. We were privileged to be around great musicians and great artistes helping to raise the bar. We have to exist! It couldn’t be just because we are Bob and Rita youth and we are singing. We went through all of that. We have to prove that this is what we were meant to do. The evolution came from there and then I started doing a little production with my grandmother and then I started slowly taking on my younger brothers. They nurtured me as much as I had to nurture them. All of my elders Ziggy, Cedella, Sharon etc. gave me the guidance necessary to be as strong as we can be. They are always there when we need them. All of those things we take and move forward to today, where I have two solo albums and I am looking to come with a third, Damian gone three and looking to come with a fourth and Julian likewise. J.W. : You have been an artiste, producer, performer, label owner and manager. Which role do you enjoy the most? S.M. : I man is a skipper, in that sense. I was born in April. April is from the tribe of Reuben. In the Bible Reuben was the first son of Jacob, so I man is a general like that. Is a natural thing, I do not have any position. I cook, clean, wash, sing and do everything, anything that is to be done. I man is the man. J.W. : Tell about the music coming from GYI. A prolific interview!! Well done.